SentryPC makes monitoring employees easy! 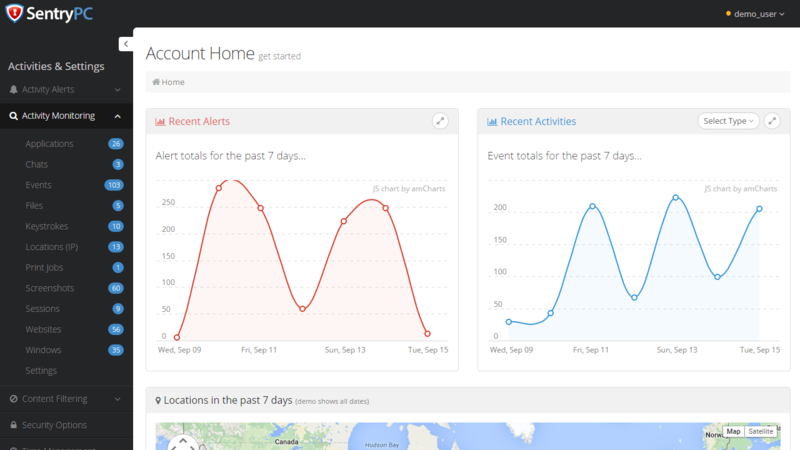 Record their PC activities, monitor their Internet use, secure company data and drastically improve productivity. It's 100% in the cloud with no need for a server! Wondering how your staff is using their time at the workplace? SentryPC will show you, in full detail, how they are using the computer and Internet. If you need to block access to distracting social media, news or other sites that violate your terms of employment, you can! If you need to block applications like games, chat services and music, just set them in your SentryPC preferences and they will be blocked. SentryPC gives you the power to see exactly how employees are using their work time allowing easy elimination of unwanted behaviors and time-wasting activities. You'll know how your employees are using their computer. From Internet to application use, you'll have access to full details for easy viewing in the cloud. Need to filter Facebook or Twitter? 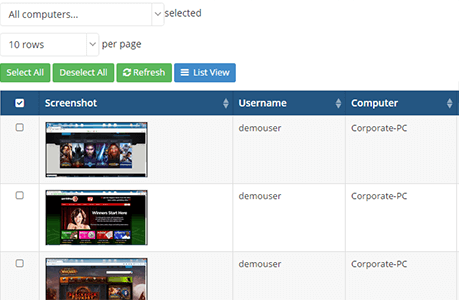 Need to block access to or filter out sites by category? 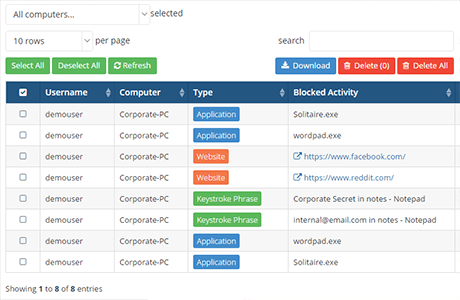 Want to block searches by keyword? SentryPC makes it easy. Easily create weekly schedules that define "working hours" when staff can use their computer. 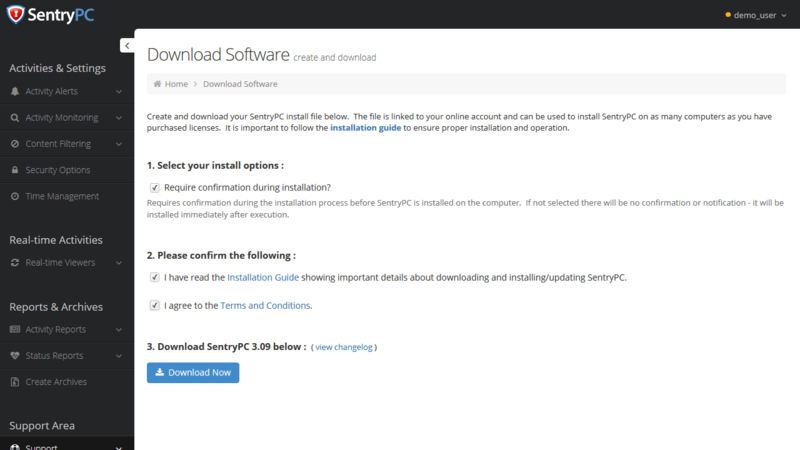 SentryPC can disable usage outside of your schedule. 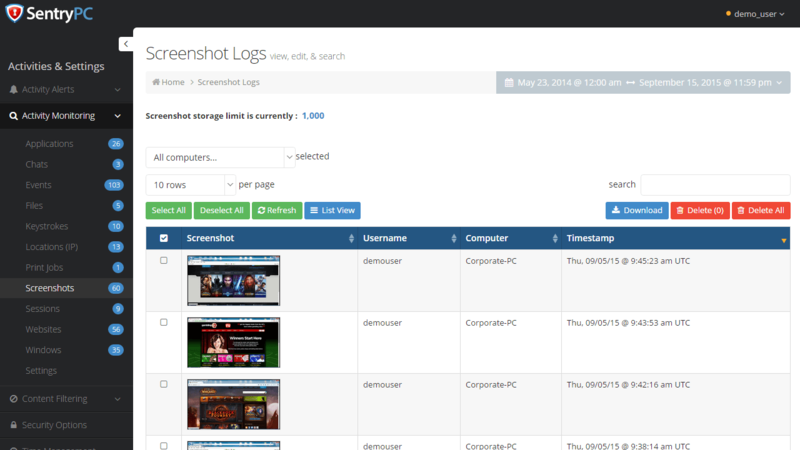 SentryPC Business records anything your employees do on the network. Click to enlarge. Securely Access Data in the Cloud! 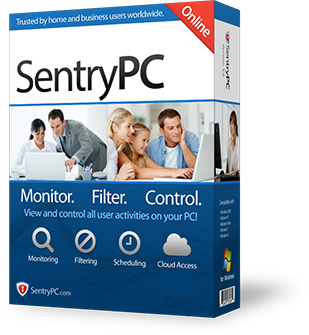 SentryPC Business is a complete cloud-based solution. 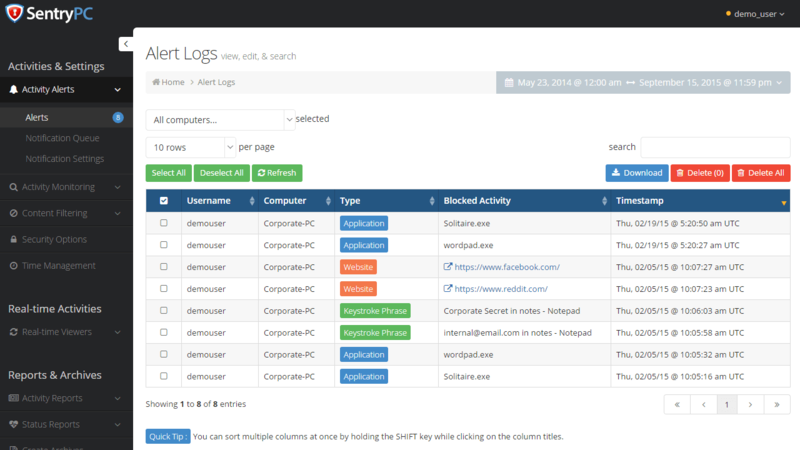 All you will need to do is install the monitoring software either physically or remotely and then login to your secure online account to view logs in real time and change configurations as needed. Easily monitor your employees current or past history remotely from any location and from any Internet-enabled device. Even if the monitored computer is offline currently, you'll still have access to all of the prior history! Monitor From Anywhere in the World That Has Internet! 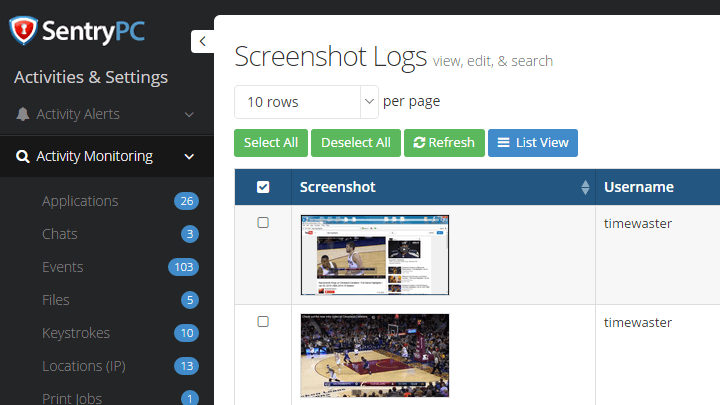 Let us handle the screenshot and log storage securely in the cloud. No server needed! 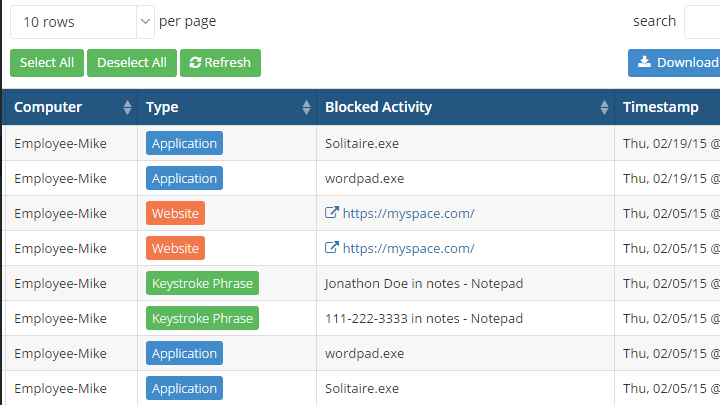 Block your employees from wasting time with application, website and keystroke filters. Powerful Filtering Puts You in Control! Remote or Physical Deployment Options! Easily disable confirmation prompts on the installer for a simple remote deployment. 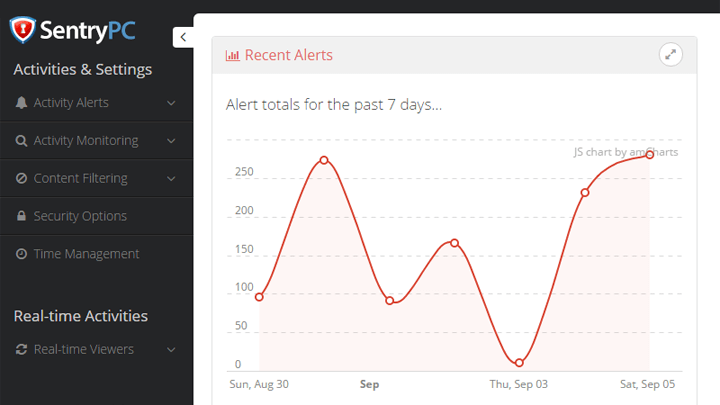 The Easiest, Most Intuitive Employee Monitoring Software on the Planet! Don't take our world for it, take a look at the SentryPC Business online demo. You'll notice that your account will be simple to manage, effective at finding what you are looking for and intuitive, even on mobile devices. 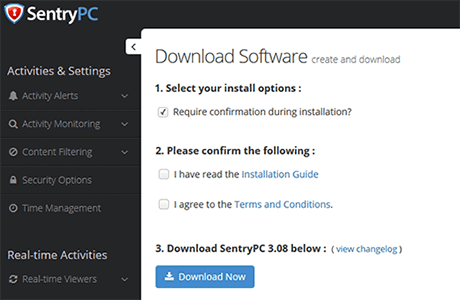 SentryPC uses minimal processing cycles. Supports Windows 200x, NT, XP, Vista, 7, 8 and Windows 10. A minimal 1 MB hard disk space. Email address (required for the online account). Web browser and an Internet connection.